Soccer has been described as “a matter of life and death, except more important.” With a fan base in the billions worldwide, soccer is watched, played and cheered for by more than half of the world’s population. 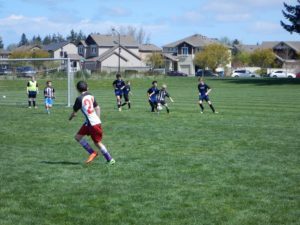 Locally, the Chinqually Booters Soccer Club brings a love of the game to children across our region. The World Atlas reports: “The sport enjoys an estimated 4 billion person following and a global sphere of influence.” Washington is lucky to be home to both the Seattle Sounders and Seattle Reign professional teams. 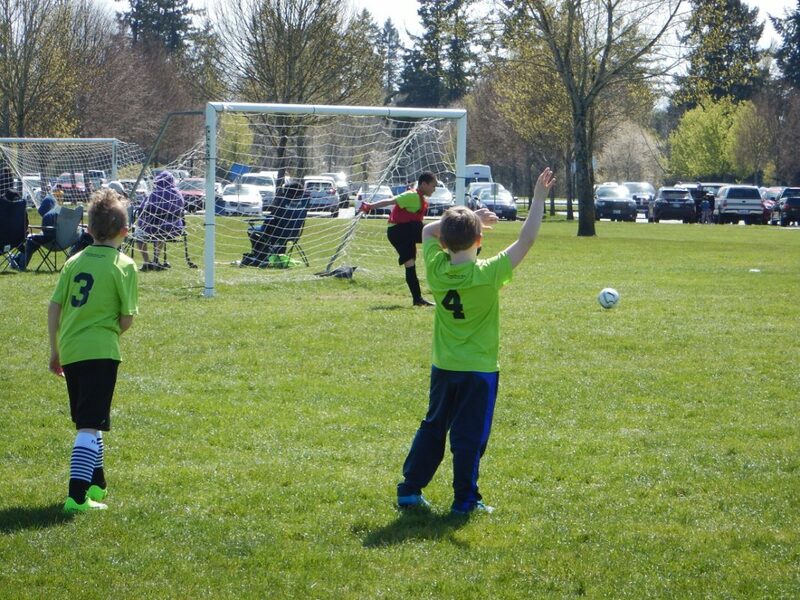 But for younger players ages 4 to 19, the Chinqually Booters is the perfect place to start. As an organization, youth programs began in the 1970s. 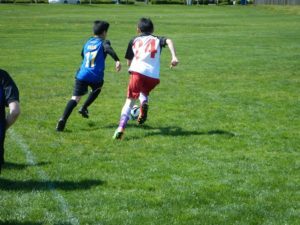 But unlike many sports teams, which can be expensive and hugely time consuming, Chinqually (a delightful tongue-twister combination of Chinook and Nisqually) offers “youth soccer for every level with a lot of opportunities to fit your schedule,” says manager Debi Matthews. This summer, consider trying one of their free soccer camps. 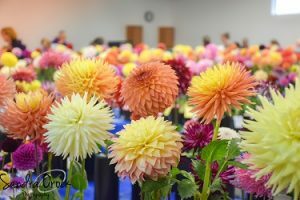 These are in association with the Lacey free lunch program and take place at Lacey Elementary on July 10, 11, and 12 and Lydia Hawk Elementary on August 14, 15, and 16. Camps run from 1:15 p.m. until 3:00 p.m. and are taught by Pleasant Glade Elementary teacher Beth McLaughlin and former Evergreen State College player Cindy Broadbent. Both women are long-time, much loved coaches in the area. Chances are your elementary-aged children know of the Booters thanks to their work with Partners in Education (PIE). Coaches have spent time at Lydia Hawk and Pleasant Glade Elementary schools once a month refereeing games during regular P.E. time slots. The Chinqually Booters divide their play into three seasons: spring, fall and summer. “You could literally play all year round,” says Matthews. “We’re always thinking families.” Spring games are all local, home games with no travel. In the fall, competitive teams explore the area, battling for medals and standings over the course of four away games. This summer’s format is unique. Starting in 2018, teams play for three weeks, from July 9 to July 26 at Lacey’s Rainier Vista Community Park. The format is either a three-versus-three tournament with medals awarded at the end, or Friday night practice followed by Saturday morning game. Style is based on age, delineated on registration forms by birth year. Perhaps the most delightful – if least coordinated – group of players are the Super Mods. 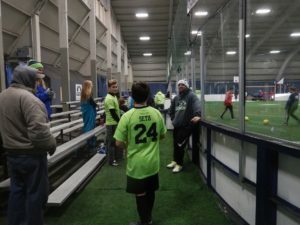 These are all under the age of 7 and enjoy time on smaller fields and playing three-a-side soccer, without goalkeepers.” By recent tally, there were 770 kids enrolled as Super Mod players. Matthews admits that over the course of any given year, the Booters will have more than 2,000 unique players overall. 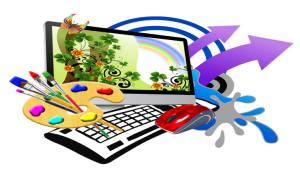 Most games are “set up as a tournament so everybody can participate. It’s a big, giant community come-together,” says Matthews. And while Chinqually is just for recreational play, TC United is their competition-level team for players over the age of 10. Registration for any of the Chinqually Booters programs is completed online with a summer deadline of May 31. Through that link, parents, grandparents and friends can also enroll as game-day volunteers. There is an array of game schedules, age charts and downloadable handbooks and waiver forms on their website. Interested in coaching with the Booters? Read more about the necessary background check and download the coach’s handbook before reaching out. Email Matthews about camps, programs, sign-up, volunteering issues or general questions at manager@chinqually.org. She or someone from team leadership will get back to you with information. Follow the organization on Facebook for photos, videos, dates and details. Whether you call it soccer or football, the sport is growing non-stop in popularity. 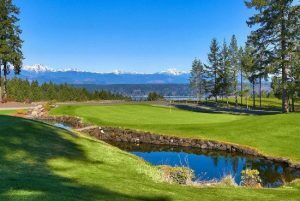 Thanks to clubs like the Chinqually Booters, your kids can enjoy games indoors or out, beginner or expert, and become part of a truly global past-time.